A dedicated server at Stratus Rack ensures ample disk space and bandwidth for very large, high-traffic or mission-critical websites, such as those operated by big corporations, data-heavy organizations and active online communities. 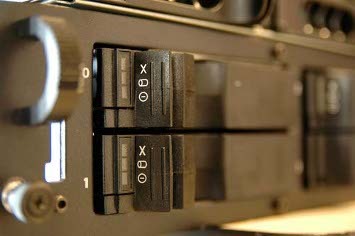 Stratus Rack also offers greater computer data center security management, as each dedicated server hosts only one customer. Maybe an enhanced or customized dedicated server is more than you need, but a virtual private server just won't do? These affordable dedicated servers featured here are a perfect dedicated hosting option for those with lower-traffic sites that still want the control and customization you get with first rate dedicated server hosting providers. One of the benefits of a dedicated server is the ability to customize server configurations. Stratus Rack custom dedicated server configuration gives customers the ability to create a server that precisely fits their needs. Start server customization by choosing a processor and memory that are suited to your workload and meet your performance needs. Then choose your hard disks, customized to ensure adequate data storage. Hard disk RAID configurations are also available when you customize a dedicated server with stratus rack. Finally choose your operating system to complete your personalized Stratus Rack dedicated server. Dedicated servers have the capability to perform cloud computing while backing up your files and system to the cloud with cloud backups. Backing up a company's systems can provide the needed security and peace of mind, knowing that a company's files are safe and secure with a version control method implemented. The system is also secure with backup recovery options, allowing a company to restore their systems to a previous backup point. Moving the company backups to the cloud with Stratus Rack's cloud backup solutions maximizes their survivability and effectiveness in the event they are needed. No matter what level of server package, Stratus Rack provides dedicated server hosting in the USA. We do this because local servers have better latency for high performance hosting. Add Windows Server 2008 for $30 per month.NO SET UP FEE! Diverse infrastructure in dual Data Centers. Unlimited 10 Mbps Internet connection. Windows also available for an additional fee.